On a crisp fall morning last Friday, TAA students met Gus the Sheep at the home of K-2 teacher Mrs. Szczech, to learn about wool sourcing. (The Jones family generously lent us their sheep.) Our youngest students will be making felted wool puppets in their handwork class this year, so we wanted to introduce them to the source by meeting the cute wool owner face to face! 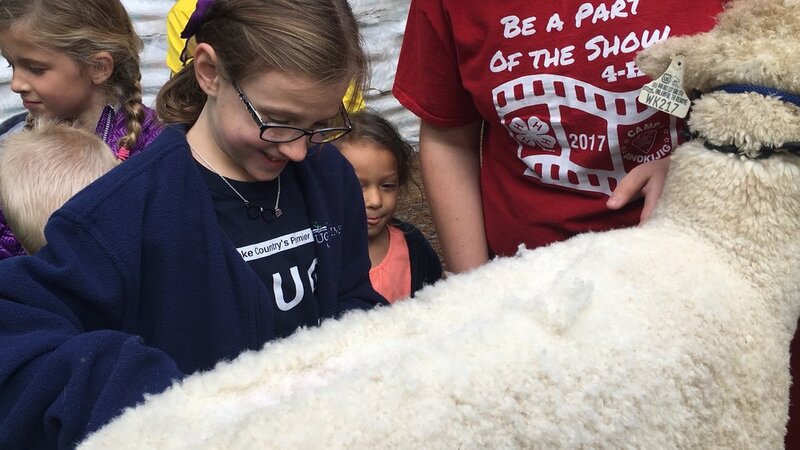 Washington 4H member Briana Jones answered many questions about the lifecycle of a sheep's coat and demonstrated the correct way to use the trimmer. 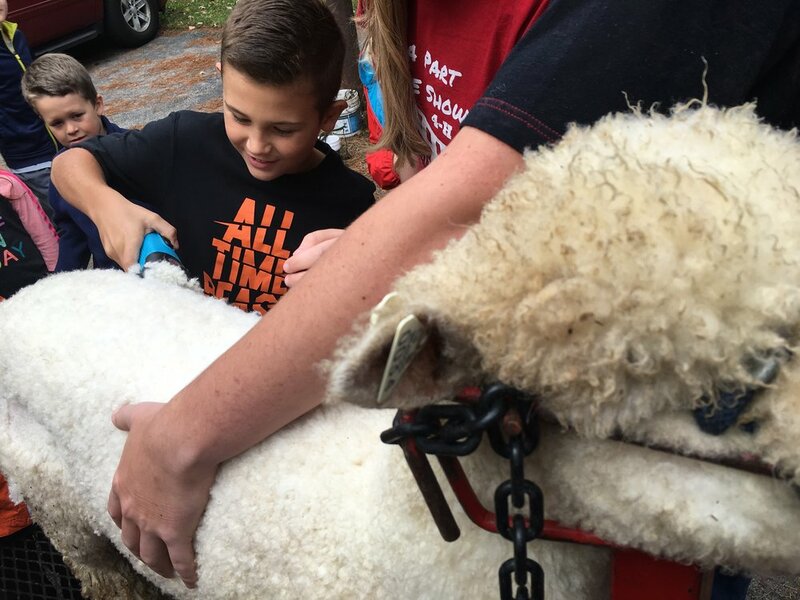 Gus the Sheep was very patient as the kids took turns giving him a haircut, and even brought along a few of his sheep friends since he doesn't like traveling alone. Farmer Jones said they were his moral support!